For the final concert of our 30th anniversary season, we return to music of a simpler time and style. 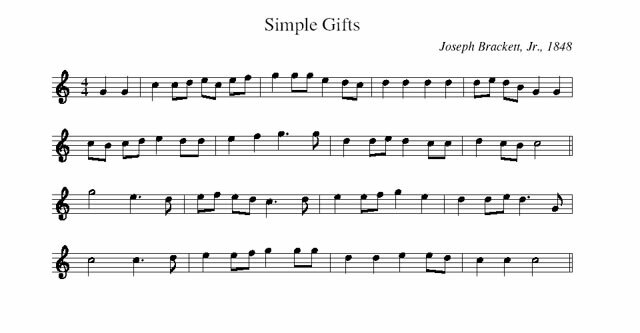 We will perform some original Shaker tunes, but the bulk of the program will feature new arrangements of these tunes by American composers, including the world premiere of a new work composed for the SBCS by Daniel Elder. 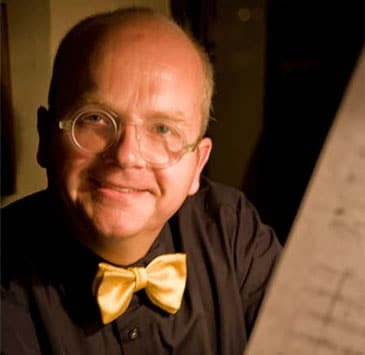 Another featured piece is an extended work by American composer Paul Crabtree, The Valley of Delight, which sets writings of Ann Lee (1736-1784), the founder of the Shakers. This 3-movement work celebrates her ecstatic vision and move to America (#1 Journey), her worship style and work ethic (#2 Workdance), and her decline and death (#3 Death and Resurrection). While Crabtree’s music is original, references to Shaker music appear throughout the work. As dance played an important role in Shaker worship services, we plan to incorporate dancers into the concert for several of the works. Born in England in 1960, he graduated from the Music Faculty at the University of Edinburgh, Scotland, where he studied with the renowned contrapuntalist Kenneth Leighton. He was also the keyboard player of a catastrophically unsuccessful garage band called Goats’ Opera. Winning a scholarship for post-graduate study in composition he chose the Musikhochschule in Cologne, Germany, where he stayed for two years. Moving to California on a religious quest in his early 20s and becoming an American citizen, he escaped the constrictions of the English class system and integrated into his rigorously disciplined music a passion for Progressive Rock and pop culture. A strong believer that mythology underpins contemporary experience, he is able to intermingle ideas as diverse as Latin poetry and 1960s girl groups, yet his music maintains a seriousness of purpose that intensifies both ‘high’ and ‘low’ cultural references. As a prolific writer of vocal and instrumental music, Daniel Elder (b. 1986) ties these genres together to create forms and aesthetics that are at once lyrical and textural, drawing its roots, particularly from the impressionist movement. Critics have hailed his works as “deeply affecting” and “without peer,” with emotional evocations ranging from lush lyricism to jagged polyphony. 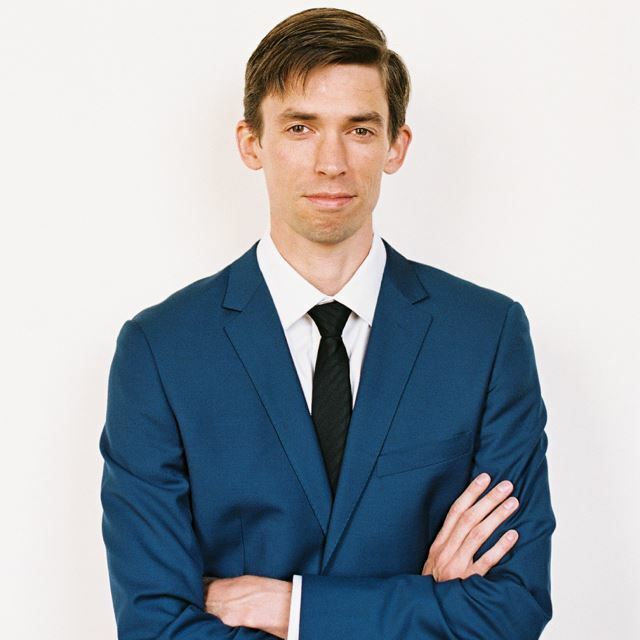 Daniel’s compositions have won recognition from The American Prize, The Simon Carrington Chamber Singers, Cantus, and many others, including a recording by the Grammy-award-winning Eric Whitacre Singers made at Abbey Road Studios as part of their 80th Anniversary Anthem Competition. The first commercial album of Daniel’s choral works, “The Heart’s Reflection: Music of Daniel Elder,” was released in October 2013 by Westminster Choir College (Princeton, NJ) and Naxos of America, and debuted at #53 on the overall classical Billboard chart. Daniel currently resides in Nashville, TN as a full-time freelance composer. He is published internationally by Carus Verlag, Edition Peters, GIA Publications, Hal Leonard, Imagine Music, Walton Music, and Wingert-Jones Publications, while also self-publishing his newest releases through J.W. Pepper.